Although ICANN in reality is a closed, top-down organization, it has been claiming that it follows a bottom-up, multistakeholder model of governance. So what is the problem with multistakeholderism? Big business was the winner at NETmundial (Wired UK): "Welcome to the Realpolitik of the net. The big lesson of NETmundial is that diplomacy by multistakeholderism (i.e. a room full of voices -- governments, corporations, individuals) has all the disadvantages of multilateralism (i.e. a room full of government voices): it is incremental, modest, guided by a few well-resourced players, and only mildly effective. But in addition, multistakeholderism has one major kicker: instead of big business exerting disproportionate influence from the shadows, in multistakeholder discourse, corporate giants are welcomed with open arms and given a massive stake. We can see this very clearly in the 11-page outcome statement of NETmundial...."
Multistakeholder governance model - Wikipedia: "...Criticism of multistakeholderism comes from Paul R. Lehto, J.D., who fears that in multistakeholderism, those who would be lobbyists become legislators, and nobody else has a vote. Lehto states that "In a democracy, it is a scandal when lobbyists have so much influence that they write the drafts of laws. But in multistakeholder situations they take that scandal to a whole new level: those who would be lobbyists in a democracy (corporations, experts, civil society) become the legislators themselves, and dispense with all public elections and not only write the laws but pass them, enforce them, and in some cases even set up courts of arbitration that are usually conditioned on waiving the right to go to the court system set up by democracies. A vote is just a minimum requirement of justice. Without a vote, law is just force inflicted by the wealthy and powerful. Multistakeholderism is a coup d’etat against democracy by those who would merely be lobbyists in a democratic system."..." This is why the Domain Name Association was formed to represent corporations with vested interests in the domain name industry and ICANN governance, and has as its Executive Director the former Chief Strategy Officer of ICANN, architect of ICANN's new gTLDs program (who resigned from ICANN as a result of his own personal conflict of interest). Domain name registrants (as well as internet users) have almost no representation within ICANN, even though it is their registration fees that keep ICANN operating. That doesn't look to change in the future. The case study that could kill ICANN | .Nxt | Internet policy and governance: "ICANN is organizationally misconfigured to deal with the demands of 22, let alone 1,022 Internet registries... the first instinct of the organization is to hide from this fact, even to the extent that it will willfully ignore serious flaws in its systems, and flagrant breaches of contract. That is why the dot-jobs case study could kill ICANN." That Kurt Pritz compensation of $502K for 4.5 months exceeds the $421K he made in the *12* months ending on June 30, 2012! So, #ICANN not only kept secret the exact nature of the Kurt Pritz conflict of interest, they gave him a lot of money when he "resigned." The message #ICANN sends is that you can be conflicted with no serious repercussions. You will actually get a big windfall in extra money. And who is Kurt Pritz? Former ICANN Executive Kurt Pritz Joins Domain Name Association as Executive Director: "Former ICANN executive Kurt Pritz has assumed the role of interim Executive Director for the Domain Name Association, a newly formed non-profit business association that represents the interests of the domain name industry. Kurt will be working with and representing DNA during the ICANN-48 meetings in Buenos Aires. He played a key role in the growth of ICANN and is best known as the architect of ICANN's new gTLD program...."
This guy was the architect of ICANN's new gTLD domain names program! The same program ICANN adopted over the vociferous objections of governments, business groups, trademark holders, and the public interest. The same unwanted and unneeded expansion of generic top-level domains that are now polluting the domain name ecosystem that ICANN was supposed to protect and be a steward of, and are causing all of kinds of headaches, expansion of staff, multiplicity, duplicity, and explosion of expenses at ICANN. One big mess always leads to others. Some call this the Law of Bad Ideas. What exactly was the conflict of interest that caused ICANN's Chief Strategy Officer Kurt Pritz to have to resign? And why did ICANN compensate a former officer AFTER his conflict of interest was known to some insiders (and apparently was incompatible to his duties and obligations to ICANN) at apparently an even higher rate than he was making as a full-time Chief Strategy Officer of ICANN? ICANN sure knows how to "take care" of insiders -- particularly those who resign after admitting to having a "conflict of interest" apparently incompatible with their positions and duties. But I guess this is what happens when an organization like ICANN has no members, no transparency, no accountability, and a Board of Directors with their own conflicts of interest! Pritz’s conflict of interest was with ARI | DomainIncite - Domain Name News & Opinion: "I’ve decided not to report the full details, other than to say the conflict relates to ARI Registry Services, a major provider of back-end registry services for new gTLD applicants." Domain Name Association: "...Kurt Pritz has assumed the role as interim Executive Director for the newly created organization... "Kurt Pritz is the right man for the job of making the Domain Name Industry’s first-ever trade association a must-join organization," said Adrian Kinderis, chair of the interim board and CEO of ARI Registry Services. "He has been a long time industry participant through his senior position at ICANN ..."
ICANN needs to "come clean" and answer the questions raised in this post which have also been raised by others -- THIS is what transparency and accountability to a global multistakeholder community is all about. And if ICANN is not up to the task (which appears to be the case), ICANN needs to get out of the way, and go away! And take your stinking new gTLDs program with you! My next post requires this background on ICANN, ICANN's new gTLDs (generic top level domain names), and the Law of Bad Ideas. Never heard of the Law of Bad Ideas? It's all explained below. The reason this is all so bad is that institutional effort justification and confirmation bias have now taken hold of ICANN -- ICANN cannot dare admit it made a BIG mistake with its new gTLDs program -- ICANN will continue compounding its mistake. If you are in the domain name industry and have not yet formulated your own disaster recovery plan to deal with ICANN's disastrous new gTLDs program, you better get one now, the water is rising fast, and you haven't seen anything yet! What Is Going On Over at Rick's Blog? GetitFido.com's Neil Sackmary May Shake The Domain Industry to the CORE!! | The Rick Schwartz Domain Name and Traffic Blog RicksBlog.com | Home of the "Domain King": ".... It's 2014 people: 'Rick, you have lost your mind....'"
All I can add is that I sure hope GetItFido's Neil Sackmary has spent sufficient time dogfooding ;-) before presenting whatever it is he has at TRAFFIC! Google, Yahoo warned about malicious online ads - San Jose Mercury News: " . . . The Senate warned Google, Yahoo and other leading technology companies ... they need to better protect consumers from hackers exploiting their lucrative online advertising networks or risk new legislation that would force them to do so. In a new investigative report, the Senate Permanent Subcommittee on Investigations said hackers in some cases are infecting computers using software or programming commands hidden inside online advertisements. It suggested tougher U.S. regulations or new laws that could punish the ad networks in addition to prosecuting the hackers....The online advertising industry has grown complicated "to such an extent that each party can conceivably claim it is not responsible when malware is delivered to a user's computer through an advertisement," the Senate report said. The panel said it found no evidence that Google or Yahoo's ad networks are more vulnerable to malware attacks than other major ones. It said the industry as a whole remains vulnerable to such forms of attack...."
More Ad Dollars Flow to Pirated Video - WSJ.com: " . . . The zzstream.li domain is registered to a nonexistent street in Sweden, while mytvline.com was registered using a domain privacy service provided by Domains By Proxy LLC. Neither site offers any contact information. The marketers said they hadn't intended for the ads to appear on the sites, and were unsure how they did. Echoing the sentiment of others, Target Corp. said its ad placement on zzstream.li was "in violation of the contract terms with the vendor who manages ad placements online," and said it was working with that vendor to have its ads removed. This is a problem that continues to plague the world of online advertising. Marketers are increasingly buying online ad space through complicated automated marketplaces and chains of brokers, instead of directly from website owners themselves. When marketers place ads through these channels, they can't be sure where they might appear across the Web...."
Some parts of the domain name industry exist simply because people don’t know better. Ignorance is a job creator. The information is out there, but it is obscured by a relentless parade of advertising, promotion and marketing. The truth gets lost behind a smokescreen of noise and deception. Indeed, there appear to be increasing numbers of people who are employed just for that purpose. Just look at ICANN and its new gTLDs -- “You are creating a business, like derivatives on Wall Street, that has no value,” said Esther Dyson, a technology investor who served as the founding chairwoman of ICANN. “You can charge people for it, but you are contributing nothing...”(Dyson in the New York Times). "The thing is, we are not running out of domains. This is a “way for registries and registrars to make money,” says Dyson. She also points out that “there are huge trademark issues. I just think it is offensive. If I own a trademark, now I have to go register it on 2,800 domains. It will create a lot of litigation” (source: TechCrunch). “'The public at large, consumers and businesses, would be better served by no expansion or less expansion' of domains" said Jon Leibowitz, former chairman of the Federal Trade Commission in the New York Times. It doesn't take a rocket scientist to figure any of this out, but ICANN insiders and vested interests got greedy. Now, thanks to ICANN, businesses globally will have to pay an "ICANN tax" perpetually by having to employ armies of trademark enforcement lawyers, waste money registering and renewing unwanted and unneeded domain names for "defensive" purposes, pay "protection" money to TMCH -- the list goes on -- I think you get the idea. Many of the people who hang around, or within ICANN, and at least half the pundits out there are worthless, self-promotional weasels who do nothing good for domain name registrants. As for the rest, well you need to make up your own mind about them. You need to distinguish between people who provide analytical insight about a specific topic that requires expertise and the time-wasting idiots who impose a tax on the rest of the world by blasting out a relentless firehose of meaningless drivel. The former have value, the latter are useless. We Need a Magna Carta for the Internet | Tim Berners-Lee: "....For me, that means that when a decision is taken about a possible new top-level domain, ICANN's job is to work out, in a transparent and accountable manner, whether it is really in the best interest of the world as a whole, not just of those launching the new domain. It also means that ICANN's use of the funds should be spent in a beneficent way...."
What a novel idea: whether a new gTLD is really in the best interest of the world as a whole. Too bad ICANN was in such a rush to satisfy the greed and gluttony of the new gTLD hucksters, that it completely forgot about the public interest! If you look at the financials for ICANN (pdf) or follow the go-to-guy on ICANN finances, George Kirikos, it is a legitimate question -- for example, why would ICANN pay Rod Beckstrom (former ICANN CEO who left June, 2012) more than $1.6 million dollars (US) over a two-year period ending June 30, 2013? Looks like we need an Occupy ICANN! And these hypocrites have the audacity to act like they are interested in serving the global multistakeholder community -- when it looks like they are more interested in serving themselves! What were they saying about transparency and accountability? Resources - ICANN: "Resolved (2014.07.30.10), the Board approves: (i) the Towers Watson Recommendation that the offer of compensation to all voting Directors be raised to the equivalent of US$45,000.00 effective 1 August 2014, and that no change be made to the Board Chair compensation which is US$75,000; (ii) offering non-voting Liaisons (except the Governmental Advisory Committee Liaison) compensation at the same level as voting Directors effective 1 August 2014; and (iii) the proposed Bylaws revisions relating to non-voting Board Liaison compensation." It is in the best interests of ICANN to extend Fadi Chehadé's Employment Agreement to serve as President and CEO of ICANN through 30 June 2017. It is in the best interests of ICANN to increase Fadi Chehadé's compensation as ICANN's President and CEO, effective 1 July 2014, as follows: (i) a base salary of a fixed amount of US$630,000.00 per year; and (ii) an at-risk component of compensation of up to US$270,000.00 per year based on the President and CEO's achieving the performance goals as agreed by the Board. The extension of Fadi Chehadé's Employment Agreement as ICANN's President and CEO through 30 June 2017, and the increased compensation as referenced above, shall be evidenced by an appropriate amendment to the Agreement already in place between ICANN and Mr. Chehadé, which per Amendment No. 1, was effective 14 September 2012. ICANN's Chairman and its General Counsel are authorized to finalize the Amendment to Fadi Chehadé's Employment Agreement as ICANN's President and CEO based on the general terms set forth above. Eleven members of the Board voted in favor of Resolution 2014.07.30.18. Five members of the Board were unavailable to vote on the Resolution. ....This is an Organizational Administrative Function that is not subject to public comment." 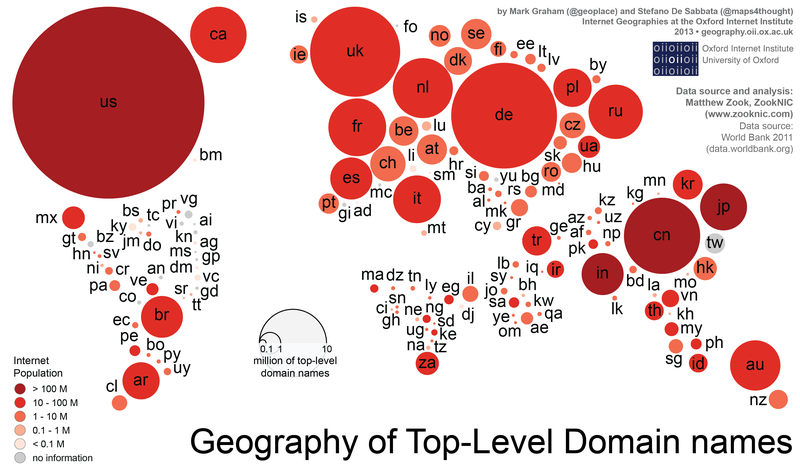 The internet population of each nation is indicated by the color of each circle (see lower left of graphic* above for scale); the size of each circle indicates the total number of domain name registrations [generic top-level domains (gTLDs) and country code top-level domains (ccTLDs)] in every nation worldwide. The majority of domain names (78%) are registered in Europe or North America (US alone has about 33% of all registrations); Asia has 13%, Latin America 4%, Oceania 3%, and the Middle East and Africa combined 2%. 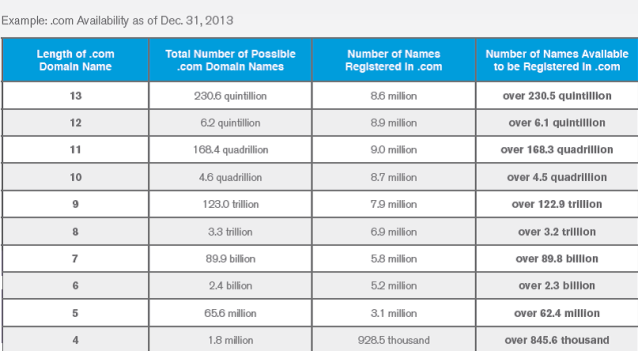 Globally, there are about 10 Internet users for every registered domain. The US has one domain name registered for every 3 internet users. 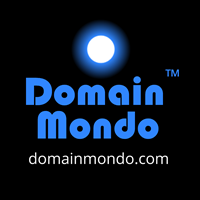 Registering a domain name is relatively rare in much of the world outside of Europe and North America. There are fewer domains registered in China than in the United Kingdom, even though the UK internet population is one tenth that of China’s, which has the world’s largest internet population. China has only one registered domain for every 40 internet users. There is a significant positive correlation between a nation’s rank in Gross National Income (GNI) per capita, and the number of domain names per Internet user. A nation’s ranked position by GNI per capita explains about 50% of the variance in its ranking by number of domain names per Internet user. Another correlating factor is the absence or prevalence of internet censorship in each nation. Bottom line: if you are in the domain name industry, the ideal market environment has good internet connectivity, internet freedom, and high GNI per capita. Have you heard all the news about Net Neutrality? If not, check out the video above and this article, then Take Action! Send an email to FCC chairman Tom Wheeler: http://www.fcc.gov/leadership/tom-wheeler-mail stating that Congress must keep the Internet free and open, and plead him to preserve net neutrality. Or, sign one of the many petitions directed at Tom Wheeler, such as this one. ICANN was warned about all of this, but apparently greed won out over common sense, the public interest, and trademarks. Unfortunately, another consequence of ICANN's misguided and ill-advised new gTLDs program is that this kind of blowback will also affect honest domain name investors and registrants, even in the legacy domains (.com, .net, and .org), with even more UDRP decisions which are abusive of registrants' rights. 06-05-98 DNS Statement of Policy: "3. Separation of Name and Number Authority. Comments: A number of commenters suggested that management of the domain name system should be separated from management of the IP number system. These commenters expressed the view that the numbering system is relatively technical and straightforward. They feared that tight linkage of domain name and IP number policy development would embroil the IP numbering system in the kind of controversy that has surrounded domain name issuance in recent months. These commenters also expressed concern that the development of alternative name and number systems could be inhibited by this controversy or delayed by those with vested interests in the existing system.... 4. Creation of the New Corporation and Management of the DNS.... Response: The U.S. Government is committed to a transition that will allow the private sector to take leadership for DNS management... Of course, national governments now have, and will continue to have, authority to manage or establish policy for their own ccTLDs... IANA has functioned as a government contractor, albeit with considerable latitude, for some time now. Moreover, IANA is not formally organized or constituted. It describes a function more than an entity, and as such does not currently provide a legal foundation for the new corporation. This is not to say, however, that IANA could not be reconstituted by a broad-based, representative group of Internet stakeholders...."
Many IANA functions today are not even performed by ICANN, but instead are performed by Verisign and others in the global technical community. IANA staff within ICANN is tiny--only ten people. With the long history of dysfunction and accountability problems within ICANN, there are compelling reasons to separate IANA (technical functions) from ICANN (policy-making functions). I have proposed that IANA functions be carried out under the terms of a trust -- simple, straight-forward, and with global multi-stakeholder representation. IANA would carry out its functions in accordance with the terms of the trust, being responsible to the entire global internet community including internet users, domain registrants, the registry operators and regional authorities, the global technical community, the national governments who manage and establish policy for their own ccTLDs, and the coordinating body responsible for general domain name policy--whether that be ICANN or a successor. Need a Dot Com Doman Name? Quintillions are available for reg fee! Forget the myth and misinformation about "we have run out of dot com domain names" -- there are billions and billions of dot com domain names available -- the premier and best domain name extension in the world for just the registration fee ($10 or less at many registrars)! Kudos to Google and its Policy Manager, Sarah Falvey, for Google's thoughtful contribution to ICANN's Draft Proposal to Transition NTIA's Stewardship of the IANA Functions - definitely a "must read" for anyone interested in this ongoing historical process which will affect the IANA functions in the future--including technical administration of the internet, its security, and stability. You can read Google's full statement here (pdf), excerpts follow below. ● The transition must maintain the openness of the Internet." ".... It is clear that the sunsetting of the U.S. Government’s stewardship role creates two distinct challenges for the community: first, we need to determine a process for the stewardship of these technical functions; and second, we we need to ensure overall oversight or accountability for ICANN’s broader policy-making remit to ensure ICANN remains accountable to the broader community..."
"The draft scoping document enumerates the role of the ICANN Board of Directors...At a minimum, this proposed plan creates the appearance of a conflict of interest, if not an actual conflict of interest, for the ICANN Board... the Board has a vested interest in ensuring ICANN’s continued relevancy within the Internet governance ecosystem and arguably has an interest in scoping the process to preserve ICANN’s existing role...."
"As noted in the NTIA announcement, determining the parameters of the scope of the IANA transition process is a decision that should be left to the community, and the Board of Directors’ fiduciary duty to ICANN as an institution may cloud its ability to scope the process objectively. Allowing the steering group to perform this task would also free up the Board to work on other pressing matters facing the ICANN community, such as implementation of the ATRT recommendations and broader concerns over organizational accountability and transparency..."
Google Blocks Demonoid for Spreading Malicious Software | TorrentFreak: "...problems with third party ads provoked a harsh response from Google...Google goes on to report that the malicious software in question was hosted on another domain – adv-inv-net.com – and further investigation reveals that the site is the source of a huge number of problems....Aware that Demonoid along with thousands of other sites had been blacklisted by most search engines and web browsers, Demonoid’s operators announced that all advertisements would be removed from the site until the problem could be identified. “We run content from a lot of ad networks in our ad banners, and a lot of banners from each,” the management team said in an announcement...."
In other words, the source ad network supplying ads to Demonoid caused the Demonoid website to be blacklisted. ICANN Intends to Become Accountable, Too Little Too Late? Death of the URL? Death of Direct Navigation? Improving the URL bar - JakeArchibald.com: "iOS [Apple] has hidden the pathname of URLs for some time now, but recently Chrome Canary introduced something similar behind a flag....No, this isn't URL death. The URL is the share button of the web, and it does that better than any other platform. Linkability and shareability is key to the web, we must never lose that, and these changes do not lose that. The URL is still accessible in iOS by tapping the URL bar, or in the Canary experiment by clicking the origin chip or hitting ⌘-L. Well-designed URLs are more aesthetically pleasing to share, so the requirement for meaningful URLs doesn't go away. To the average user, the URL is noise. It's a mix of protocol, origin, and path. It's a terminal command, echoing it back to the user is weak UI. We should focus on the security of the URL, without harming shareability..." or navigation. Fadi Chehadé, Will ICANN Move to Switzerland? Will ICANN move to Switzerland? The answer depends on which Fadi Chehadé you believe: the one who spoke in French in February at a hearing of the French Senate (see video above) that ICANN’s Geneva office, which had opened the week before he testified, did not have the legal structure it should, “as it is an NGO and ICANN should think about having a more international structure” and later on the French radio program “Place de la toile” said he would like to see the creation of “parallel, legal, international structure (maybe in Switzerland) for ICANN,” adding “This is new, this is the first time;” OR the Fadi Chehadé who testified under oath before a US House Judiciary Subcommittee in April that he had no plans to take ICANN out of the U.S. (source). One of the most important issues in the pending IANA transition is under what legal system disputes over future Internet policy will be adjudicated. Currently, because ICANN is under contract to the U.S. government, and is a California non-profit corporation based in Los Angeles, California and U.S. law have precedence. Should ICANN relocate to another country, say Switzerland, things might be very different – and in a way that not only harms U.S. political interests (see: Daily Caller article), but economic interests of the global business community -- millions of businesses, in the US and globally, have invested billions of dollars buying and developing dot com domain names, with the understanding that US legal jurisdiction, US rule of law, and US government oversight of the dot com Registry agreement would continue indefinitely.